Four hours are enough to see Rome’s major highlights or some of its tucked away sites. 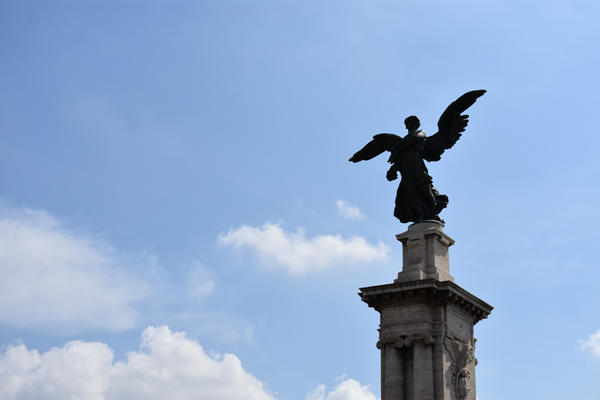 here you find the basic tours for first timers, covering Rome’s most famous places, or theme tours for those who want to explore Rome more in depth. We’ll show the highlights you shouldn’t miss and some of the tucked away sites: Colosseum (outside), Trevi Fountain, Pantheon, Piazza Navona and the Spanish Steps. The visit of the inside of the Colosseum requires a long time, during the golf cart tour. Its visit and, while you’re with us in the golf cart, we’d rather show you around places you’d never find otherwise. 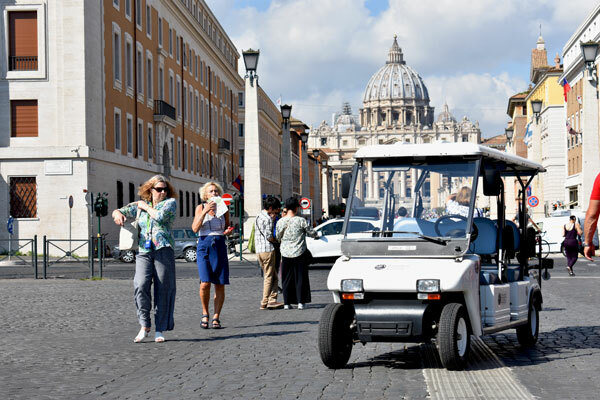 If you want to visit the Colosseum inside or tour the Vatican, your golf cart tour can be ended at either one of these places. You can also combine your golf cart tour with a tour of the Colosseum or the Vatican. “Ancient Rome” normally refers to the area of the Colosseum, Roman Forum and Palatine Hill. All three sites are concentrated in one compound and they’re accessed with the same ticket. 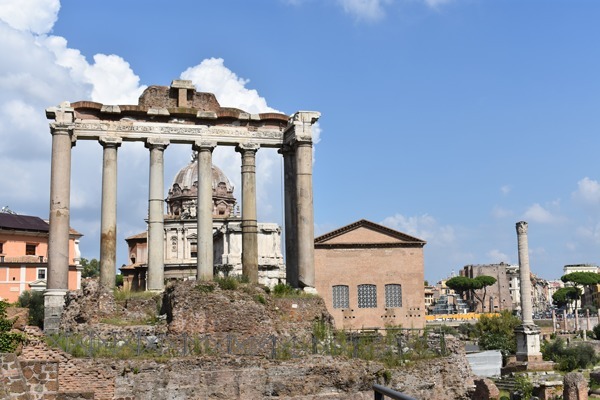 This is normally done as a walking tour but, if you don’t care for walking around the area for three hours and you want to see more of the ruins of Ancient Rome, we’ll show you the area from the outside in the golf cart and we’ll include other sites. This what we generally manage to show you during this tour: Colosseum, Roman Forum, Palatine Hill, Monument to Victor Emmanuel II (Wedding Cake), Theatre of Marcellus, Baths of Caracalla, Old Appian Way, Aventine Hill. You can also combine your golf cart tour with a tour of the Colosseum or the Vatican. Al of our tours show you tucked away sites, but if you want to concentrate on sites off the beaten path, this is the tour for you. Again this is a private tour, so you can discuss the itinerary with your driver/guide just before you start the tour but, just to give you an idea of the sites you can visit here’s a short list: Santa Maria Sopra Minerva, San’Andrea delle Fratte, the Roman Houses on the Celian Hill, the Roman Walls, the Roman Aqueducts and a lot more… You can also combine your golf cart tour with a tour of the Colosseum or the Vatican. You’ll drive down the quaint streets of old Rome to get to the Jewish Ghetto. Beware that the original Ghetto was demolished 1888 because considered insalubrious, but the old streets by which we reach the Ghetto still give you a pretty good idea of what the Ghetto of Rome used to be like. The Ghetto is where the Synagogue and the Jewish schools for children, the Kosher food shops and restaurants are. In other words, even though this isn’t the original Ghetto, it’s still the centre of Jewish life in Rome and so it’s a lively, pleasant place where to spend some time maybe tasting some of the Roman/Jewish specialities like the famous “Carciofi alla Giudia” artichokes fried “the Jewish way”. This tour covers also other Jewish memories outside of the Ghetto. If you want to tour the inside of the Synagogue and the Jewish Museum, you can get dropped off there end of our tour, or we can meet you there after you’ll have toured the place. This tour is centred on the sites they touch in the movie/novel Angels & Demons: the Pantheon, Piazza del Popolo and Santa Maria del Popolo; Santa Maria della Vittoria, St. Peter’s Square, Tiber River near Tiber Island (which is really called the island of St. Bartholomew, but no one seems remember that), Piazza Navona, the “Passetto” and Castel Sant’Angelo. However, these are also some of the main sites of Rome, so it’s somewhat like the standard tour of Rome for first timers, but some of the sites you’d see during the regular “Fundamental Rome” are left out in favour of the ones they show in the movie The Vatican part is left out because they are part of the Vatican tour and such tour is the ideal sequel of this Angels & Demons tour, so you might want to consider combining your golf cart tour with a tour of the Vatican. Four hours are enough to see Rome’s major highlights or some of its tucked away sites. 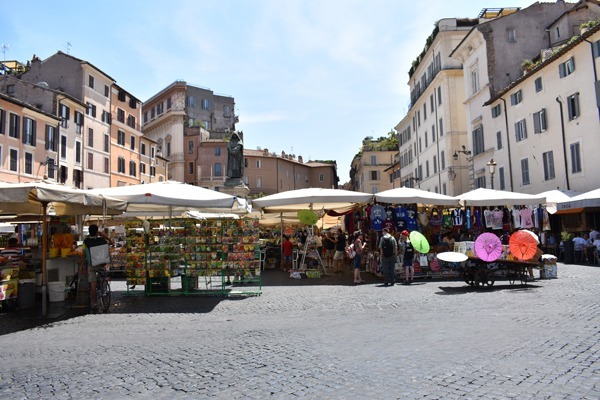 It goes without saying that if you take a longer tour you see more sites, but if you’re like you can also relax and enjoy some of the typical foods Rome offers. See what you can cover in six hours hereunder. Villa Borghese, Colosseum (inside), Trevi Fountain, Pantheon, Piazza Navona, the Spanish Steps, St. Ignatius, Campo de’ Fiori, and whatever else can be fitted in the six hours. You’ll be told about the history of the Colosseum from the outside, but you’ll go inside and visit on your own, however, we can provide the “skip the line” tickets for 25 Euros per person (youngsters under 18, 5 Euros each) and, if you like, also a guide for the tour for an additional 150 Euros . Villa Borghese, Colosseum (inside), Trevi Fountain, Pantheon, Piazza Navona, the Spanish Steps, St. Ignatius, Campo de’ Fiori, and whatever else can be fitted in the six hours. You’ll be told about the history of the Colosseum from the outside, but you’ll go inside and visit on your own, however, we can provide the “skip the line” tickets for 20 Euros per person (youngsters under 18, 5 Euros each) and, if you like, also a guide for the tour for an additional 150 Euros. 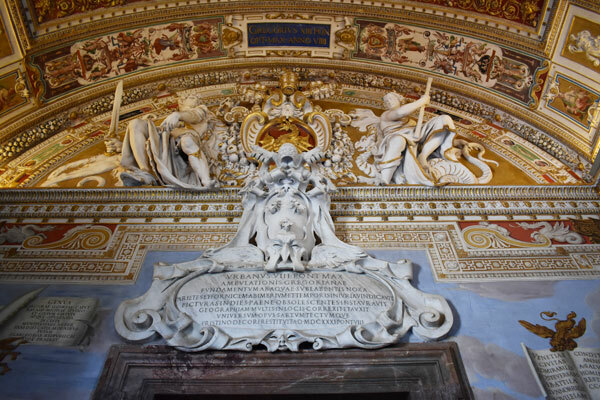 This tour covers the same sites that the 4-hour tour covers but, in addition, it includes the Christian Catacombs. So you’ll see the Colosseum, Roman Forum and Palatine Hill from the outside in the golf cart and we’ll include other sites like the Monument to Victor Emmanuel II (Wedding Cake), Theatre of Marcellus, Aventine Hill, Baths of Caracalla, Old Appian Way and stop at the Christian Catacombs for a guided tour (included in the price of the admission ticket). Time permitting, you can also stop to visit the Museum of the Roman Walls and other sites that will be on the way to the Catacombs. Those who visited Rome already and want to see something different from the usual “must see” highlights, will surely enjoy this tour! 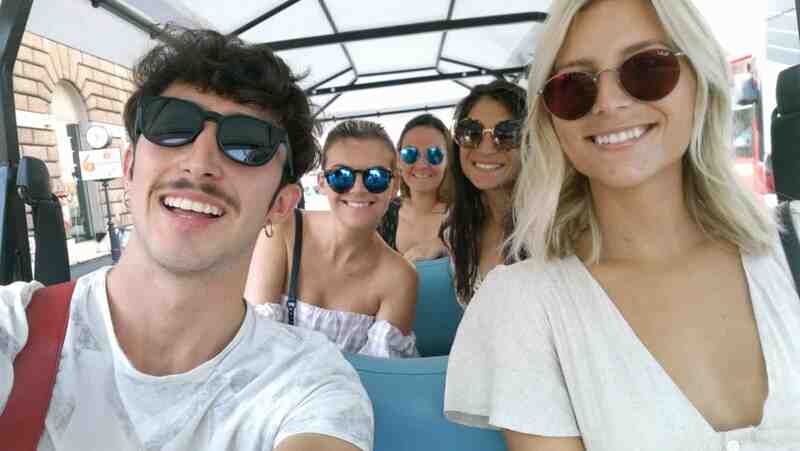 We’ll take them to see some of the sites that are not advertised and which fewer people know about. Obviously, like all the other tours this also can be customized, but we’d like to list with some of the sites we’ll take you to see, so you can check them out: The Roman Houses on the Celian Hill, The church of the Saints John & Paul, Porta Maggiore (the place where most of the Roman Aqueducts converged), The church of St. Ignatius with its wonderful ceiling, the hill formed by the broken pottery that the Romans dumped in one place… But probably, some people would also enjoy merging into the life of the present Romans for a little while and visit a typical open air market and/or do other things of this kind. 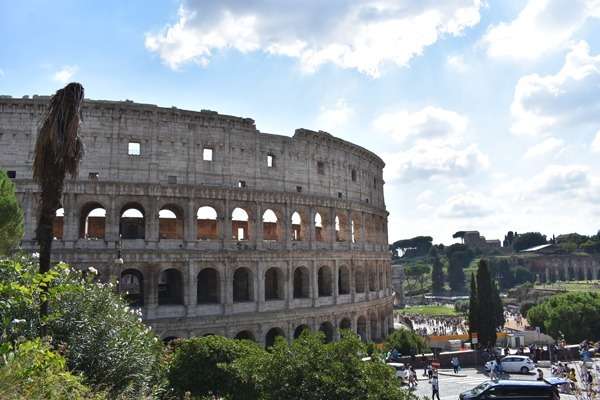 If you’re fascinated by the Romans’ engineering, you’ll love to go on this tour! The Romans are famous for the roads, the aqueducts and the walls they built and this tour shows all three. You’ll drive on the first one of the roads the Romans built, the Old Appian Way, you’ll pass by the city walls and you’ll stop to visit the Catacombs (or you might skip them and see more of the Roman ruins) the you’ll continue to a beautiful park where several aqueducts converged before getting to the city and you’ll follow a couple of them all the way to Porta Maggiore (the place where most of the Roman Aqueducts came together once in the city). Everywhere in Rome you can see frescoes that where done by famous artists centuries ago, Roman ruins and beautiful churches, but what about now? 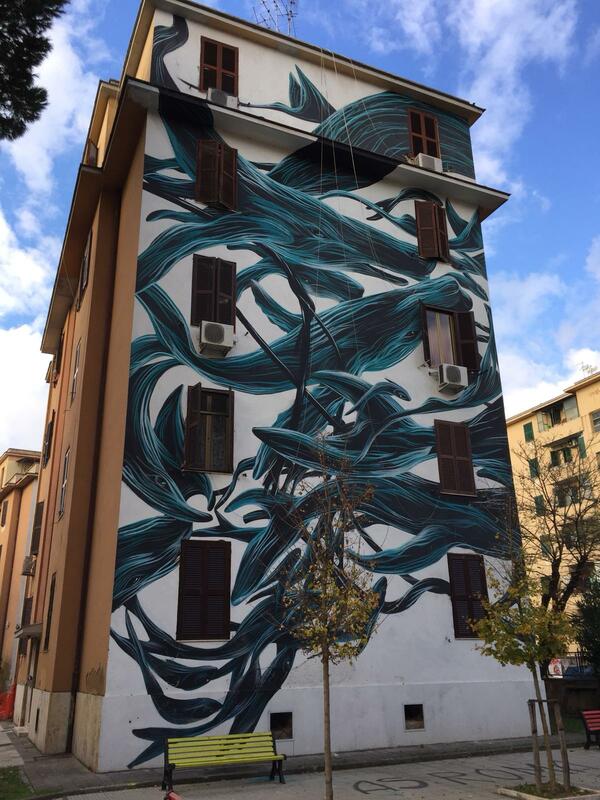 What do the artists do in Rome nowadays? This tour will take you to see architecture and Street Art from the 20th and 21st centuries. Again, we’ll customize this tour for you and we can focus on Street Art, if that’s what entices you, centre the tour on Modern Architecture or cover a little of both if you like. You’ll see the murals covering the entire façade of condos, sculpted dead trees, some horrible and some nice present architecture and, of course, you’ll have the opportunity to have a nice lunch somewhere out of the tourist area. Cram it all in three hours! Afternoon only. For those who think four hours are too much, those who want to do something else in the morning, those who fly or train into Rome late in the morning, those who… We have this three-hour tour in the afternoon! Are you going to miss something doing three versus four hours? 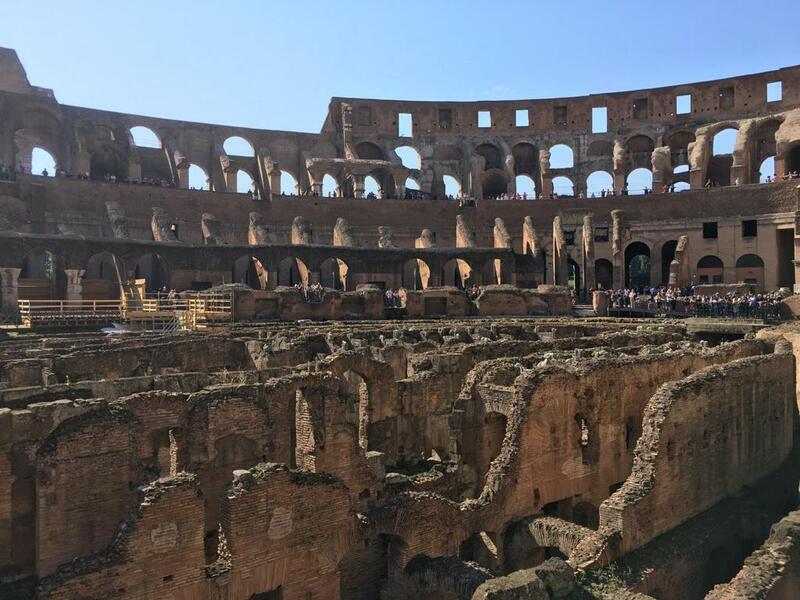 Well, obviously the longer the tour, the more you see, but three hours are enough to cover Rome’s major highlights and see some of the sites off the beaten path. Please be sure to acknowledge that we operate the 3-hour tours in the afternoon only. If you want to do three hours in the morning you can, but you have to pay for four hours anyway. 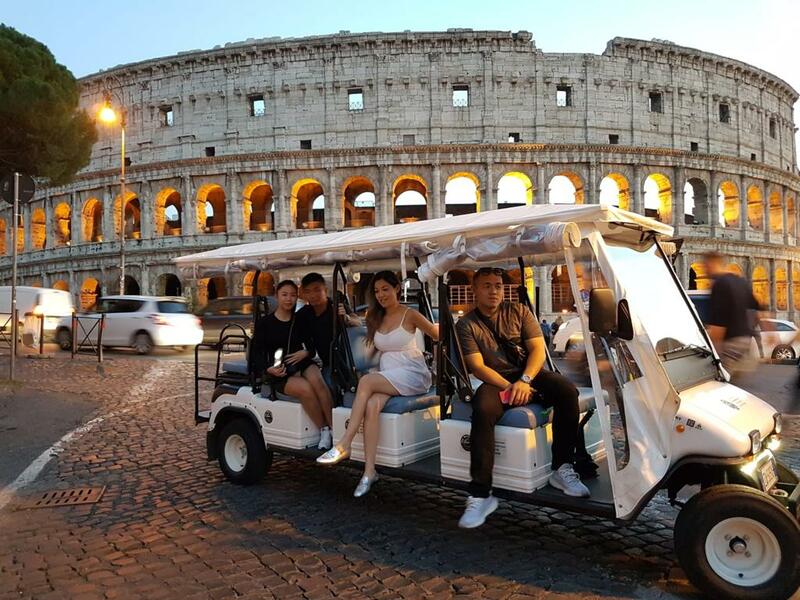 If you want to spend the whole day sightseeing in Rome by golf cart, you can surely do that, it’s like combining two of the half tours, but you can also combine your half day golf cart tour with a walking tour of the Colosseum or Vatican. During the tour we’ll stop somewhere nice for you to get a bite to eat before spending the afternoon at the Vatican, unless you prefer to have a typical Italian meal at the excellent restaurant next to our office. 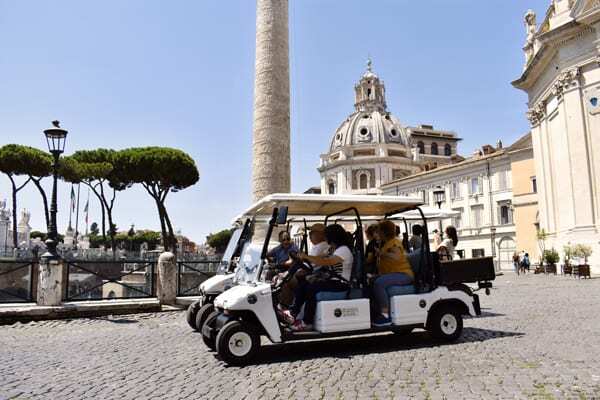 ■ 1:30 pm – The 4-hour golf cart tour will end at our office near the Vatican Museums where you’ll be introduced to the guide who’ll take you on your private walking tour of the Vatican which will include the Vatican Museums, the Sistine Chapel and St. Peter’s Basilica. We’ll get you the necessary “skip the line” tickets for the Vatican. ■ At the end of the Vatican tour you’ll be on your own, but we can provide transportation back to your place upon request. 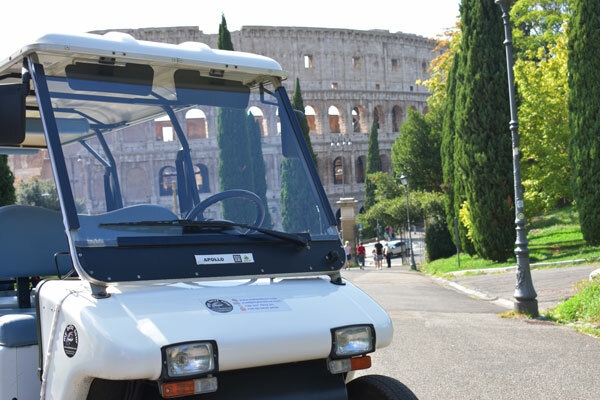 ■ 9:30 am – starting of the 4-hour golf cart tour which will cover: Monument to Victor Emmanuel II (Wedding Cake), Theatre of Marcellus, Aventine Hill, Baths of Caracalla, Old Appian Way and stop at the Christian Catacombs for a guided tour (included in the price of the admission ticket).. During the tour we’ll stop somewhere nice for you to get a bite to eat before spending the afternoon walking around the ruins, unless you prefer to have a typical Italian meal at some restaurant near the Colosseum. 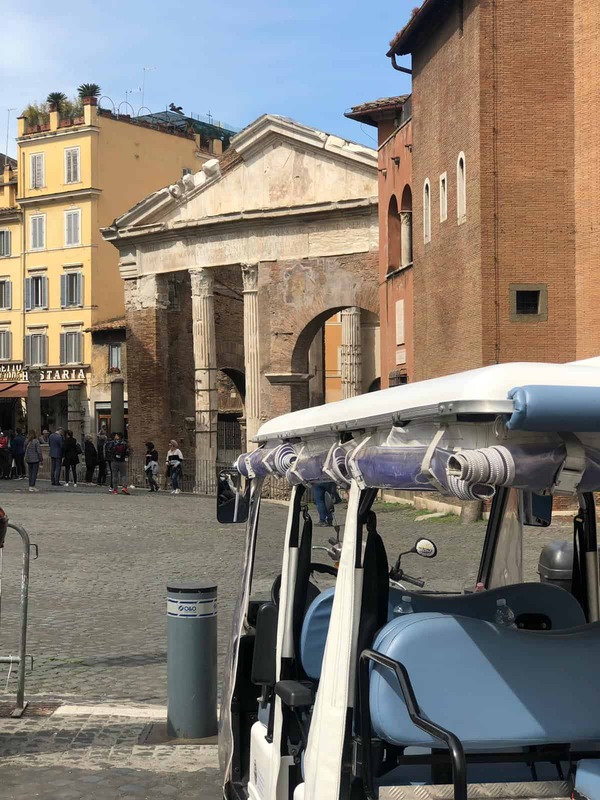 ■ 1:30 pm – The 4-hour golf cart tour will end at the Colosseum where you’ll be introduced to the guide who’ll take you on your private walking tour of the Colosseum, Roman Forum and Palatine Hill. We’ll get you the necessary “skip the line” tickets for the Colosseum. At the end of the walking tour you’ll be on your own, but we can provide transportation back to your place upon request. Our night tours start after 7:30 pm during the summer, when we’re on daylight saving time (Sunday, March 25 / Sunday, October 28) and sundown is between 7:00 pm in April and 6:00 pm in October, but in June, July and August sunset is between 8 and 9:00 pm. In the wintertime we can start as early as 5:00 pm. Depending on the time of the year when this tour is done, you might enjoy a beautiful sunset over the panorama of Rome or simply admire the various monuments of Rome lit up at night. St. Peter’s, the Colosseum are the most spectacular, but also the rest of the city looks just beautiful at night. Two hour is not a long time and St. Peter’s, the Colosseum are on the opposite sides of the city from one another, but you’ll still have enough time to get out of the cart and stroll around at least once, at this might be at the Trevi Fountain or Piazza Navona which are the two of the most striking sites in the city. NOTE: We reply to our e-mails almost instantly so, if you don’t get our reply to your e-mail within 48 hours, please check your “spam” folder and/or resend your e-mail to another one of our e-mail addresses and/or call us. For short notice/last minute reservations, please do not just send an e-mail, call our emergency number: +39 337 783 255.